In the far future, Earth is a distant myth. When mankind gained the means to transit the vastness of space safely and quickly, a great human wave extended across the galaxy, and humans soon inhabited thousands of worlds. Communities of worlds formed alliances; alliances became federations, and eventually a galactic empire was born. That empire existed for millennia, growing and consolidating, bringing most of the inhabited worlds under its control. Despite its size and apparent success, though, all is not well in the Galactic Empire. There are rebels, usurpers, those who want to create empires of their own, and aliens of every imaginable form. Over the long millennia, even the form of man is taking a new shape with genetic engineering. 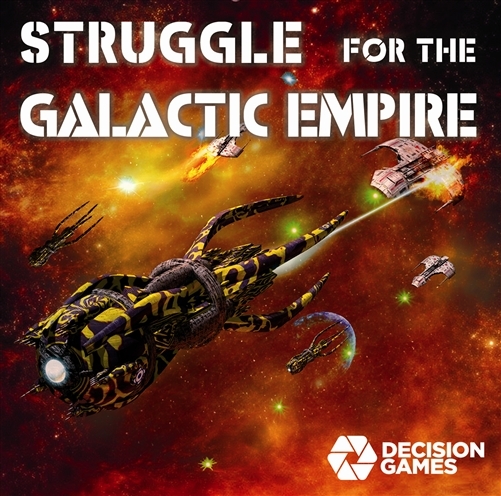 Struggle for the Galactic Empire is a solitaire science fiction game. You assume leadership of the forces of the Galactic Empire as it strives to maintain and expand its dominion while fighting off the forces of chaos that seek to destroy it. You make all the military, political, social and economic decisions to deal with the threats that arise, keep the far-flung empire stable, and still expand and bring new glory through discovery, colonization and conquest. The map shows the entire galaxy divided into sectors of star systems. Production is carried out by nano-assemblers to create starships and world-sized weapons. 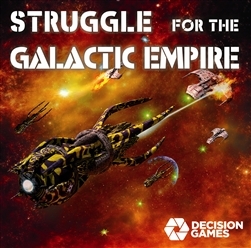 Units include combat and colonization ships, control groups and leaders. Units have two types of combat values: weapons and morphogenetic systems. Weapons destroy the enemy, while morphogenetic systems change them into friends. Loyalties switch back and forth depending on the situation. Threats are generated by over 100 randomly drawn chaos markers. They include: rebels, usurpers, independent empires, invaders and alien forces, as well as technological, economic, social, political and military events. You can also launch expeditions to attempt to gain new knowledge and technology. Other rules allow you to use psychosocial warfare and propaganda to repress rebellions. 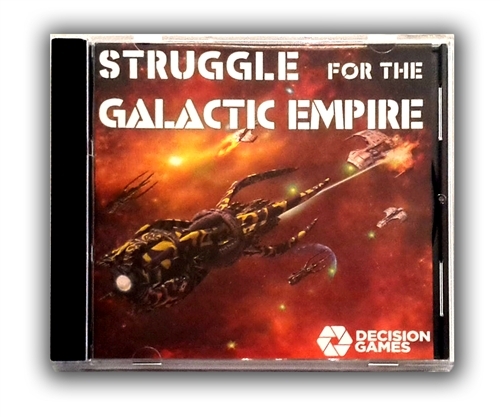 Several upgrades to the map, counters, and rules make holding the Galactic Empire together even more challenging.